Does Your Teacher Rock? Enter them into our contest! The winning teacher will win $150.00 to Staples, their school will get $150.00 and you will win a pizza party for your class! Just fill out this nomination form below. Entries due by Tuesday, April 30th. Teachers must teach in Windham or Cheshire County. Jeremy and Jasmine are on their way to amazing smiles! 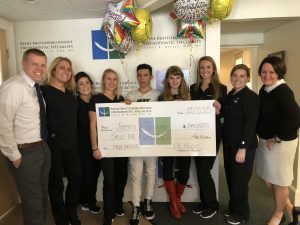 They are the Fall recipients of our Smile For a Lifetime program, both recipients were selected for this scholarship program by our board of directors. Our next application deadline is May 1st.